Mountain Eagle Security is dedicated to offering the greatest career development opportunities and best-extended training services in the Cranbrook and Kootenays area. 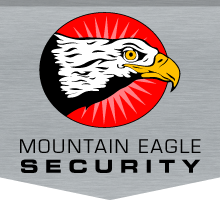 Whether you are looking for a career in security, law enforcement or just a part-time job, Mountain Eagle Security will give you the experience for a better tomorrow. We do this because, simply, we want the best employees our industry has to offer. At Mountain Eagle Security, we are constantly growing, so we are always seeking quality candidates to join our ranks. And all of our new and current employees enjoy the benefits of upgrading their education and skills through numerous courses and classes available to them. Come see us and find out why we are the industry leader for security services in the Kootenays.